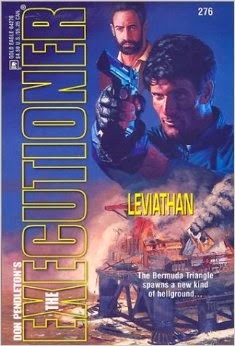 (Furiously taking notes) I knew that there were Cthulhu cultists in Leviathan - it's in Crossovers 2, isn't it? - but not about the other trilogy. Thanks for pointing them out! Iron Fist is the one that's in Volume 2. Leviathan will be in the new volumes. The reviews at mackbolan.com show that people either love or hate this one. The critical reviews say it violates the "realism" of the Mack Bolan books. Frankly, if the Mack Bolan books were real he'd either be dead or to old for these kind of adventures.